During Summer 2018 The Fishing Hut, a handcrafted travelling gallery shed, appeared at various coastal locations around Morecambe Bay. Visitors were invited to step inside to enjoy a kaleidoscope of short animated films, small illustrated stories and artefacts that explored and celebrated the culture and heritage of the Fishing communities around the Bay. 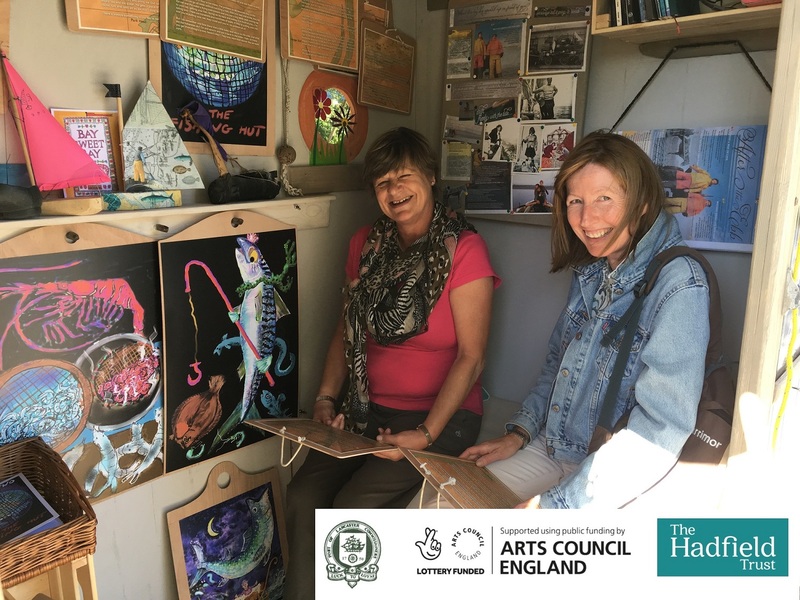 The highly decorative Hut, created by artists Hannah Fox and John Fox, had been inspired by Morecambe Bay Partnership’s oral history project collecting memories of the Bay’s fishing industry for future generations (known as ‘Catching Tales’). It contained amazing details gleaned from the stories of fishing families. The short animated films by Hannah Fox called ‘The Child’s Eye View’ explore growing up in a fishing family where work, play and education often intertwine. They can be viewed below.